What sort of nation locks up children to solve its problems? 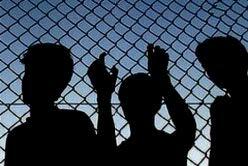 One hundred and seventeen refugee children are still on Nauru. In the September edition of ‘Writing Rings for Righting Wrongs,’ read about how you can act and help the children on Nauru.